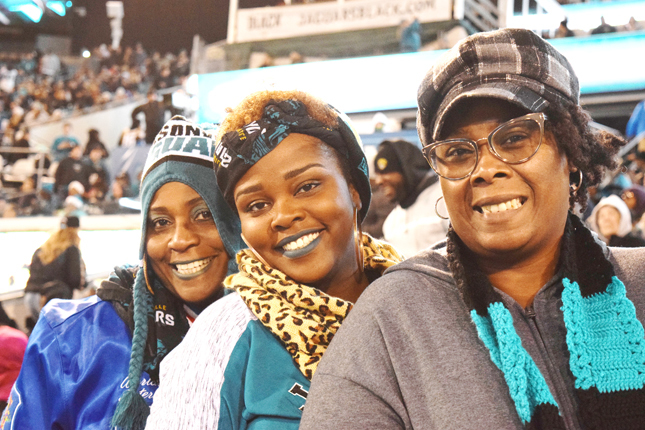 In the team’s first sellout since the 2016 season vs. Green Bay, the Jacksonville Jaguars defeated the Seattle Seahawks, 30-24, and now sit atop the AFC South in sole possession of first place. 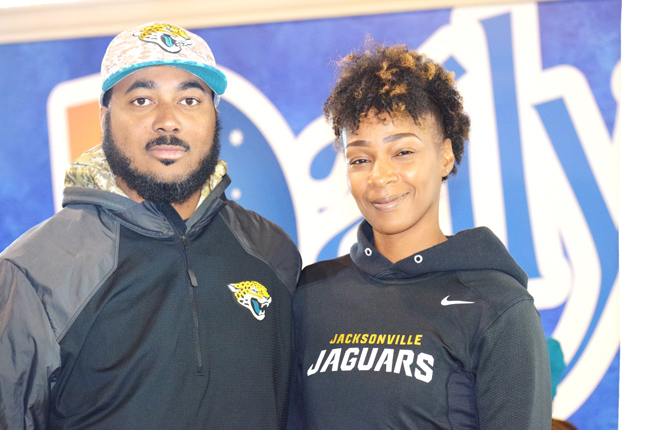 The Jacksonville Jaguars also made national news for the mayhem that occurred at the conclusion of Sunday’s game, which involved the throwing of several items on the field in the direction of a visiting player. 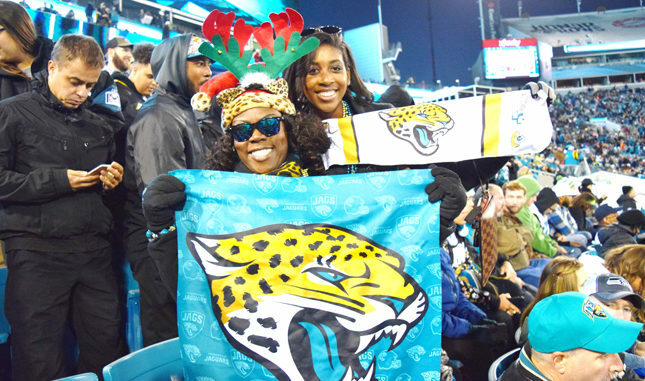 Jaguars released a statement blasting the behavior of a small group of fans who are being investigated and will face expulsion from future games. 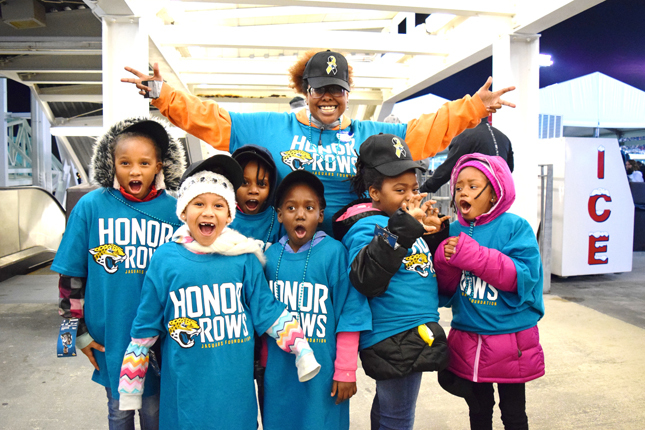 This marks the Jaguars’ first time being in first place in their division entering week 15 since 2010 when Jacksonville was 8-5. Fans braced temperatures in the 40s to witness the excitement. The Jaguars’ win over Seattle was their first over the Seahawks since the 2005 season. 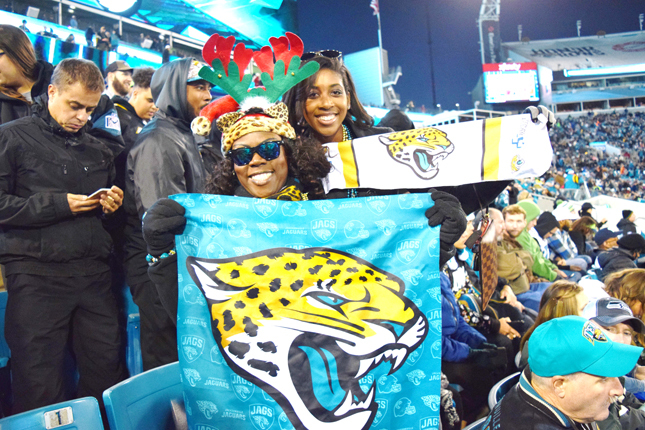 Next Sunday, the Jaguars return to EverBank Field for their final home game of the 2017 regular season when they host the Houston Texans at 1 p.m. on Sunday, December 17th.